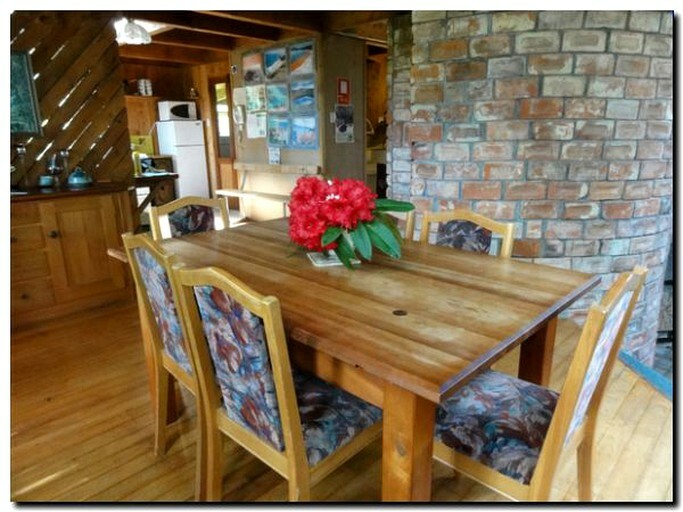 This peaceful farm cabin is located near Ruahine Forest Park in Rangiwahia, New Zealand, and can accommodate six guests. There are three bedrooms, one full bathroom, and one half bathroom. The first bedroom is on the first floor and has a queen-size bed and a private balcony. 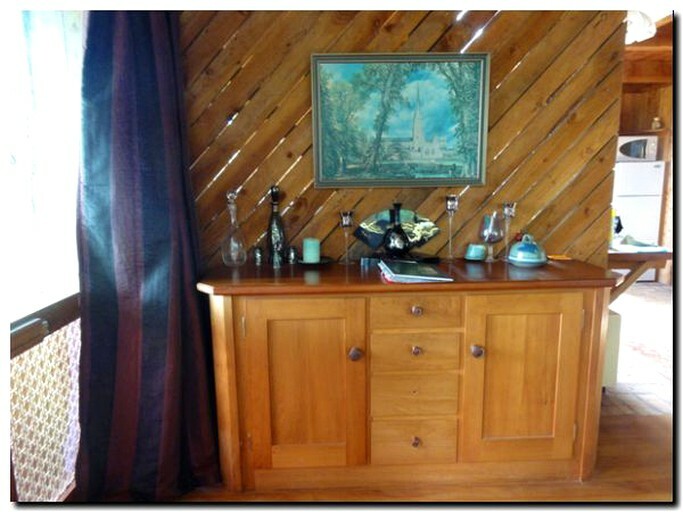 The second bedroom is on the same floor and has a double bed. 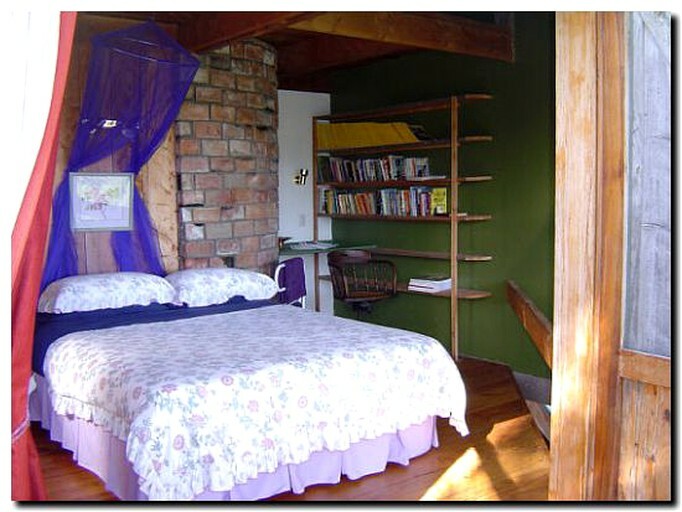 The third bedroom is on the top floor and contains two twin beds. 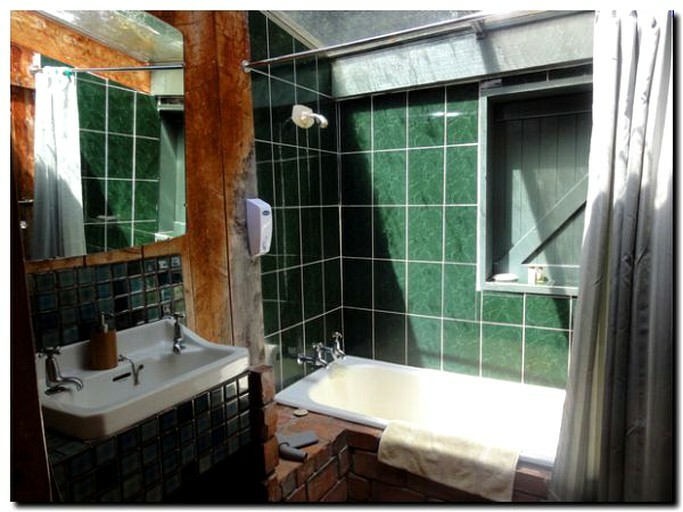 In the full bathroom, guests will find a toilet, a sink, and a bath/shower, with an additional toilet and sink on the same floor as the two main bedrooms. 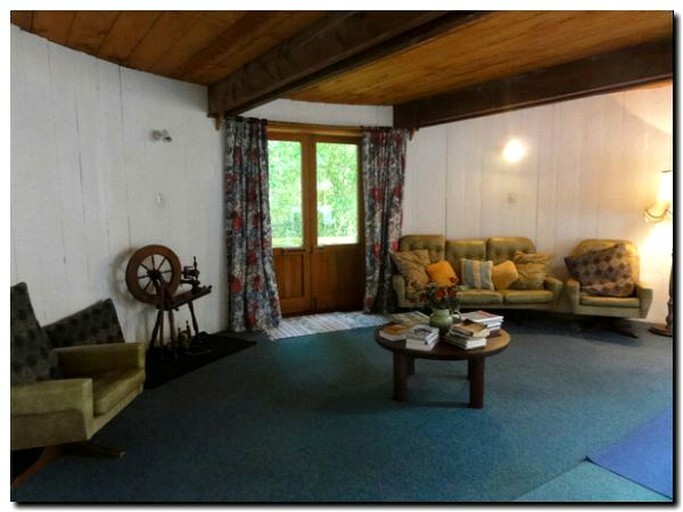 In the circular living room, guests will find a free-standing fireplace and some comfortable furniture. The kitchen is paved with red bricks and is complete with an electric oven, a microwave, and a wood-burning stove. 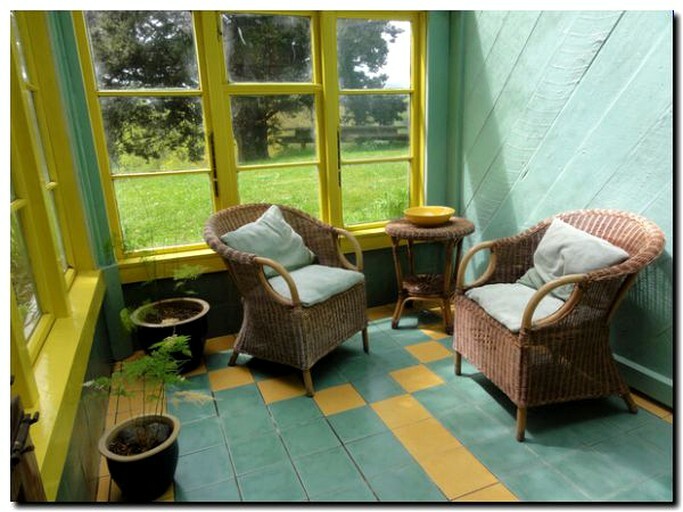 Just off the kitchen, in the old conservatory, is the breakfast room, with a tiled floor, and cane furniture. There is an all-weather concrete tennis court with racquets and balls supplied. 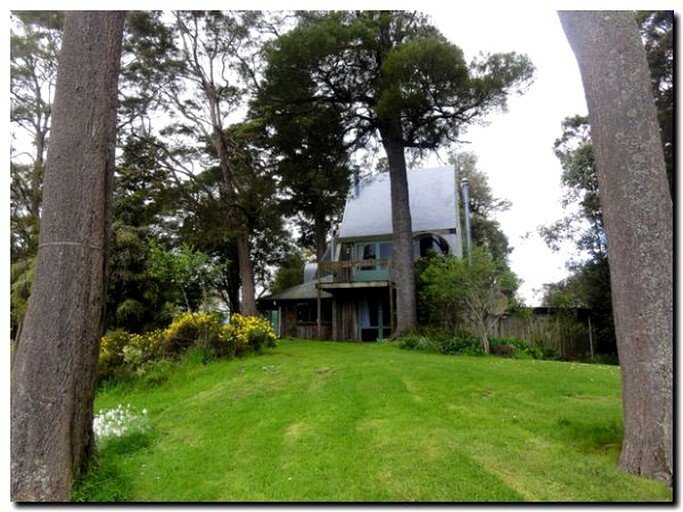 There is a full-size petanque (boules) court equipped with stainless steel boules, and a croquet lawn is edged with rhododendrons and camellias, and backed by a stand of native trees. Breakfasts, lunches and evening meals are available by arrangement at an extra cost. 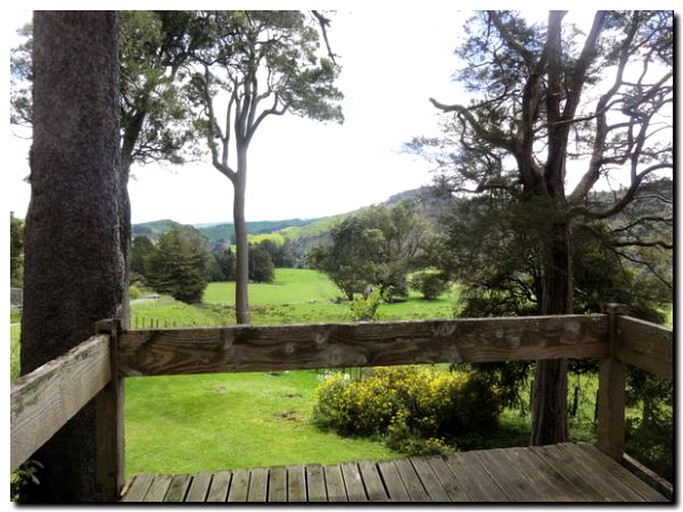 This property has a really special opportunity to plant a native tree in its Totara Grove and have a permanent name plaque attached to it, all for a small fee. This is part of the management's commitment to the environment and they encourage guests to join in if they wish! There are many outdoor activities to pursue, with a court for guests to practice their tennis, a specific croquet lawn, and even petanque on its very own court. Those who would like to just spend some time in the great outdoors will find farm walks and river swimming excellent choices. There is a fully-restored 1953 Landrover in which tours of the farm are offered, or just a ride down to the river to swim in the private pools. With one of the few privately owned stretches of river, catch and release brown trout fishing is available solely for guests. Alternatively, guided trout fishing on the Rangitikei & its tributaries can be arranged. Special rates will apply for children, longer stays, and full service stays.